To truly achieve a Smart Home, all the smart devices need to be able to communicate with each other. Here are the major smart home protocols. In a safe connected world, smart products must be able to exchange information with multiple devices. To do so, they need to speak the same language, i.e. communication protocols. Protocols are all about how signals are sent from one device to another in order to trigger an action, such as turning the lights on and off. Understanding the differences between protocols is essential when choosing devices for an automated ecosystem, as each protocol has varying pros and cons depending on the application. Communication protocols are developed by consortia, organizations, or associations whose members discuss and agree on the details of the ‘lingo’, describe them and may even build hardware samples to demonstrate them. Those groups can be “open” and let virtually anybody use the protocol, like KNX and Z-wave. Alternatively, they can develop on a private basis, where only a certain manufacturer is allowed to use the protocol, or the protocol is open to multiple manufacturers who must first acquire a license to use it, like Zigbee. Protocols are ‘spoken’ via wireless or wired layers. If you’re among the early adopters DIY enthusiasts, you might want to get acquainted with the most popular protocols before adding new devices to your own ecosystem. One of the simplest and most reliable protocols, normally offering one-way communication. It’s the number one choice for remote controls, like the one for your TV. Fast and reliable wired communication, with a range of up to 100m and low susceptibility to electromagnetic interference. Fast and reliable wireless communication, with a range of around 25m. You can read more about WiFi here. A short-range (around 10m) wireless protocol often used on phones, headphones, and speakers. Its adaptive frequency hopping system detects existing signals, such as WiFi, and negotiates a channel map for the Bluetooth devices in order to minimize interference. You can read more about Bluetooth here. 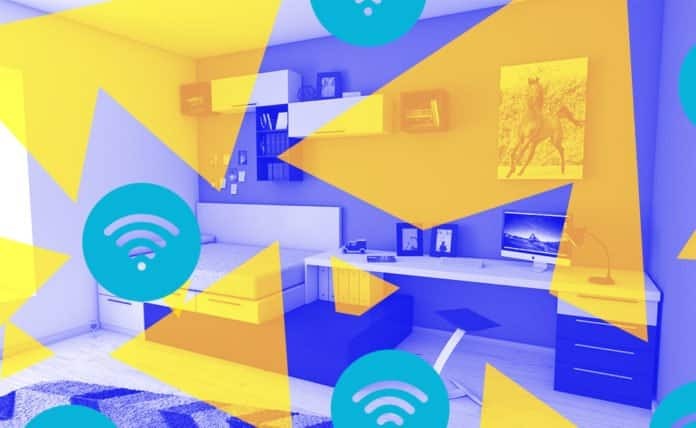 A wireless protocol developed by a group of companies including Nest, Samsung, QUALCOMM, and OSRAM. Designed to allow the devices in its protocol to communicate even when the WiFi network goes down. Zigbee is a wireless protocol which operates in a mesh network. That is: it uses a device to relay a signal to other devices, strengthening and expanding the network. Zigbee can be built in dimmers, door locks, thermostats, and more. It’s used on WeMo and Philips Hue, for example. Similar to Zigbee, Z-Wave is an open source mesh network protocol. Technically speaking, the main difference between the two is the data throughput – Z-wave is roughly 6 times slower than Zigbee. It does, however, require less energy to cover the same range as Zigbee. SmartThings and Lowes Iris use Z-Wave. KNX is an open protocol that’s been on the market for decades and is also one of the most popular protocols for building automation. It operates on more than one physical layer e.g. twisted pair wiring, power line networking, infrared, Ethernet, and RF. With a decentralized topology, the system does not operate from a central unit, which means every single unit hooked up to the KNX ecosystem is smart in itself and doesn’t rely on other parts to function. A big advantage: if one unit fails, the others can still proceed their daily business. Finally, the convenience and reliability that come with KNX are coupled with an increase in safety, as KNX certified products must follow EN-50941 (HBES/BACS) which has requirements for various safety areas: electrical safety, environmental safety, functional safety, EMC (electromagnetic compatibility), reliability, and performance. Each protocol has its own appeal for this or that technology. But what if you want them all to work together? In general, protocols are still not directly compatible with each other. You can skirt the inconvenience with a hub that supports multiple protocols – like a voice-controlled home assistant. Just bear in mind that some products need an extra step to translate a protocol into a language your home assistant can understand: for example, your Philips Hue light bulbs will only speak to your Amazon Echo through a Philips Bridge. Another caveat is that some hubs aren’t prepared to identify every device, even though they support the protocols. You can avoid lack of interoperability by choosing only products that use the same proprietary protocol. If you prefer more freedom to add devices from different brands to your ecosystem, we advise you to do some thorough research before acquiring a new smart device. Another good tip is going for certified products. Certification is done by accredited testing labs and ensures that a product has been tested against standards to comply with directives and regulations about safety and performance. While the certification doesn’t guarantee interoperability, it demonstrates a manufacturer’s concern for testing their products during the development phase. You can at least rest assured your product is electrically, mechanically, photobiologically, and chemically safe and won’t disrupt the functioning of other devices when you turn it on. Being a front runner may be tough, but the possibilities are virtually endless. If you’re working to fully unlock the potential of the Internet of Things in your home, sweet home, educate yourself. Knowledge is power. DEKRA Certification B.V. is an independent third-party testing, inspection, and certification body and is in no way affiliated with, nor contracted by nor otherwise linked to any of IoT For All’s sponsors nor their products.